​​Forty years ago I stumbled across the world of dog training. I had a six year old disobedient Silky Terrier called Sammy. Training changed Sammy’s life and mine. Finally, I could communicate with her and she understood what I wanted. She wasn’t actually “disobedient” - we just had a communication problem!! My training has encompassed Assistance Dogs; Therapy Dog Training; Odour Detection Dogs; Protection Dogs and Man Trailing Bloodhounds. I became skilled in many different styles of training and to this day, I continue to update those skills. Some trainers will limit their toolbox by believing that there is “only one way to train a dog” but there are actually many different ways to train and a good trainer should be proficient and knowledgeable in them all. 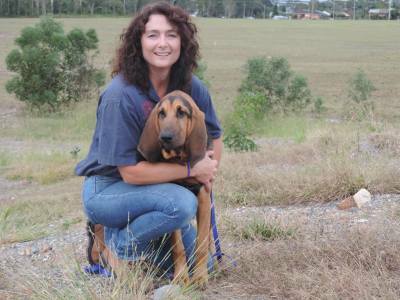 For over a decade I was the Senior Trainer & Team Leader for Craig A Murray Dog Training. My knowledge was tapped into daily as I ran group classes - including over 1,200 puppy classes; conducted Home Behaviour Consultations teaching owners better communication with their pets; handled Dog Attack Counselling for Gold Coast City Council and Logan City Council, training of the Variety Therapy Dog Team and training and development of new team members. 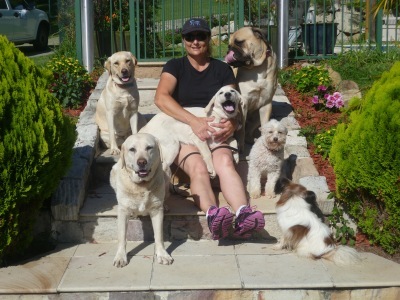 When it comes to dogs I have no breed bias and have personally owned everything from Silkies, Chihuahua’s, Poodles and Papillions to Rottweilers’, Bloodhounds, Great Danes, Mastiff’s and Malinois …. (and everything in between). When not dog training, catch me out on my horses. My passion for retraining and rehoming ex-race horses has spanned the same amount of time as my dog training journey.